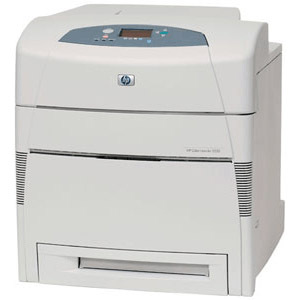 HP Color LaserJet 5550 printers are known for their dependable performance that suits any office. This device prints up to 22 pages per minute (ppm) and holds up to 600 sheets for optimal productivity across the office. Buying toner for HP Color LaserJet 5550 printers can be complicated by the high cost of original equipment manufacturer (OEM) toner. OEM toner is known for its exceptional print quality compared to cheap toner alternatives, but the retail price means you could be paying over a thousand dollars to buy a new set of OEM cartridges. If you need the print quality and performance of OEM HP cartridges but can’t afford OEM prices, look no further than 1ink.com. These remanufactured toner cartridges from 1ink.com are the perfect solution for your office woes. You’ll get the exact same product specs and the same print quality that you’d get from OEM products, but you’ll get huge savings in the process. Browse our individual and multipack remanufactured HP 645A toner cartridges below and let 1ink.com take care of the rest.